Florida is a great environment to breed and raise horses. 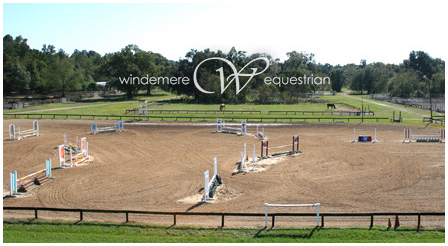 Windemere has a prime location in Jacksonville, Florida. Our farm is a top facility outfitted to train just about any discipline from reining, to jumping, and everything in between. Windemere take pride is showing all disciplines. We attend regional and national Appaloosa Horse Club shows, local and state 4-H shows, regional NRHA shows, and local hunter/jumper shows. We are willing to take our clients to whatever show best fits their interests.